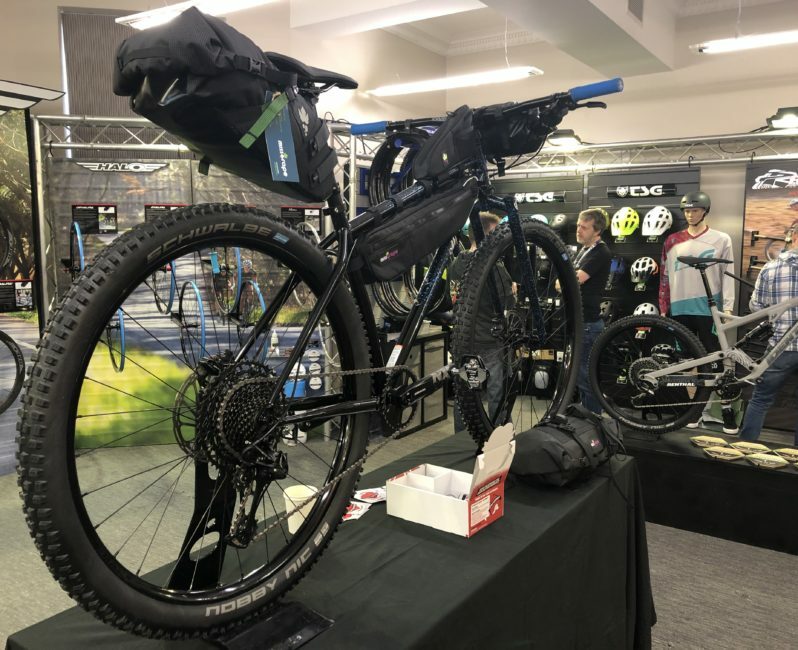 CoreBike is a three day trade show. It is a showcase for brands and distributors, keen to present their wares to UK retailers. The show is held within the labyrinthine halls and rooms of a large hotel in Northamptonshire. Just navigating around the venue can be confusing enough but trying to take photos is even more of a challenge. Exhibitors are tucked away in a variety of small rooms. The windows are often blacked out and the lights are dimmed. Throw a few hundred bodies into the mix and well… most of your photos will be of someones head rather than a bicycle! 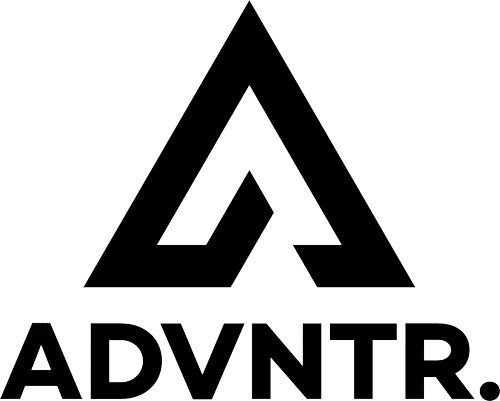 This year, virtually every exhibitor had at least something gravel or adventure related. Whereas in previous years you might struggle to find anything gravelly, the 2019 show was awash with the stuff! We have already covered the exciting news that Salsa Cycles are now officially back in the UK with Lyon Equipment. 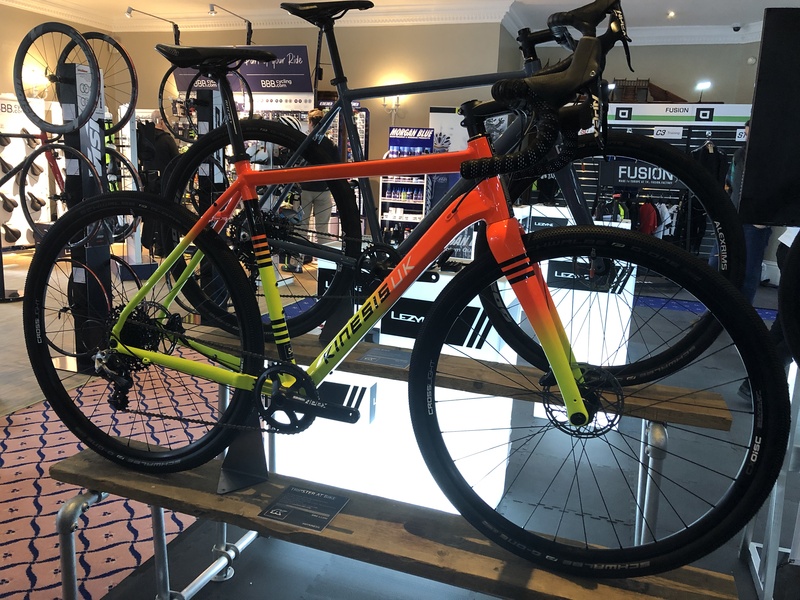 It is no surprise then, that the new team were causing more than a frisson of excitement at CoreBike, with a selection of the 2019 range. The Salsa Journeyman Apex 1 650 really caught our eye. It features 650b wheels, WTB Nano 2.1″ rubber, and a SRAM Apex x1 groupset, all for around £1,500. 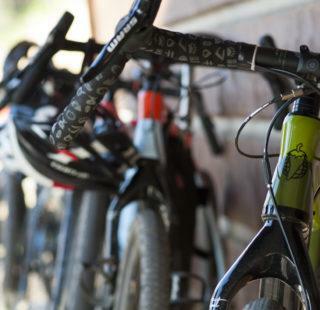 The Journeyman is far more than just an entry level bike in the Salsa range. In common with all their designs, the Journeyman is far more than the sum of its parts. The alloy frame is built to accommodate two wheel sizes. 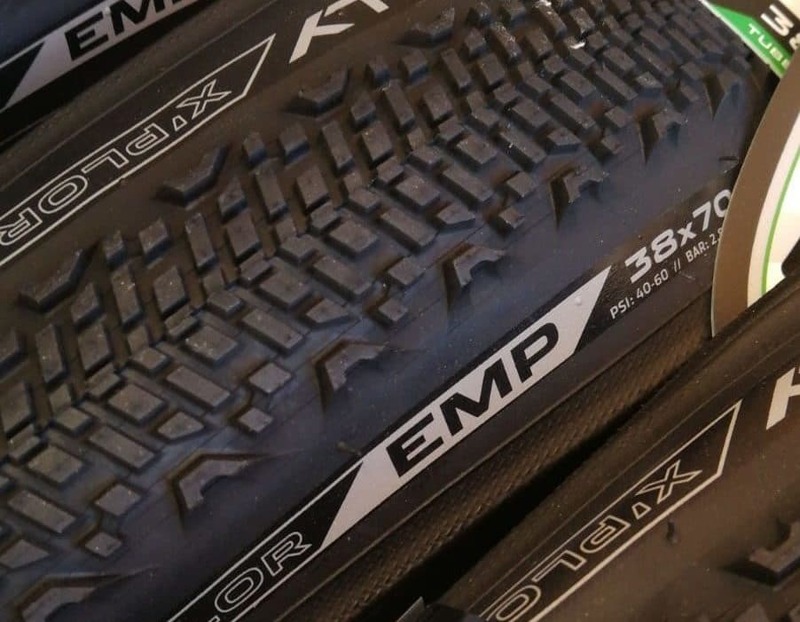 It will take a 700cx 50mm for fast touring or you can plug in a 650b up to 2.2″ for increased traction and a plush ride. Salsa’s fantail carbon fork helps create a lightweight package with a comfy ride. Top tube mounts for use with bolt-on ‘bento’ top tube bags. 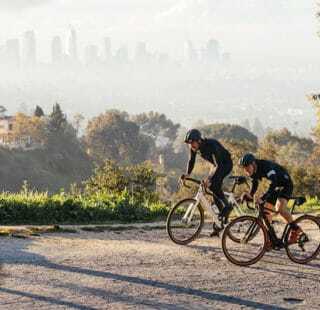 The Donnelly C//C – Cross Carbon frameset. Award for ‘Room most like a Holister Store’ goes to Edinburgh based 2Pure, whose soft mood lighting was a refreshing change from harsh LEDs. It didn’t make photography that easy though! The Donnelly C//C ‘Carbon Cross’ frameset, pictured above, comes in a very fetching powder blue. Of more interest to us though was the G//C ‘Gravel Cross’ but it’s grey gloss finish faded into the gloom of the 2Pure stand. The basic profile of both frames is very similar. The only obvious difference was the voluminous tyre clearance on the G//C. There is enough room for a 700x45mm or 650bx50mm. The CX specific C//C will still take up to 700x40mm making it more than just a machine for racing around school playing fields. Both frames are made from high modulus carbon-fibre. They take 12mm thru axles front and rear, and feature a PressFit 86 bottom bracket. 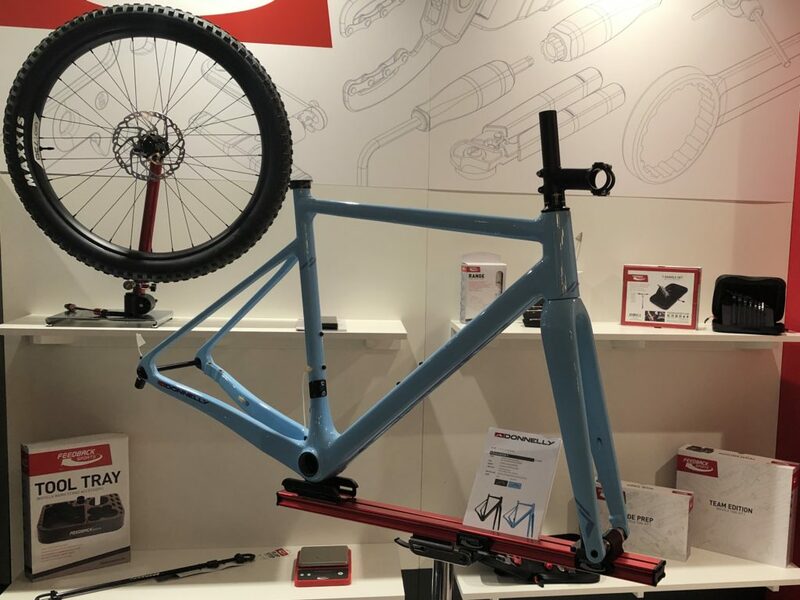 Although the G//C is designed as a gravel-racing specific frame (with geometry to match), Donnelly have kept practicality in mind with mudguard mounts. It also takes 3 bottle cages. The C//C frame has no mudguard bosses but still has room for two cages. Both the C//C and G//C frames are priced at £1,699. Along with the frame and fork, you will also get axles, an FSA Orbit headset, and a seatpost clamp. That’s a bit of a bargain! 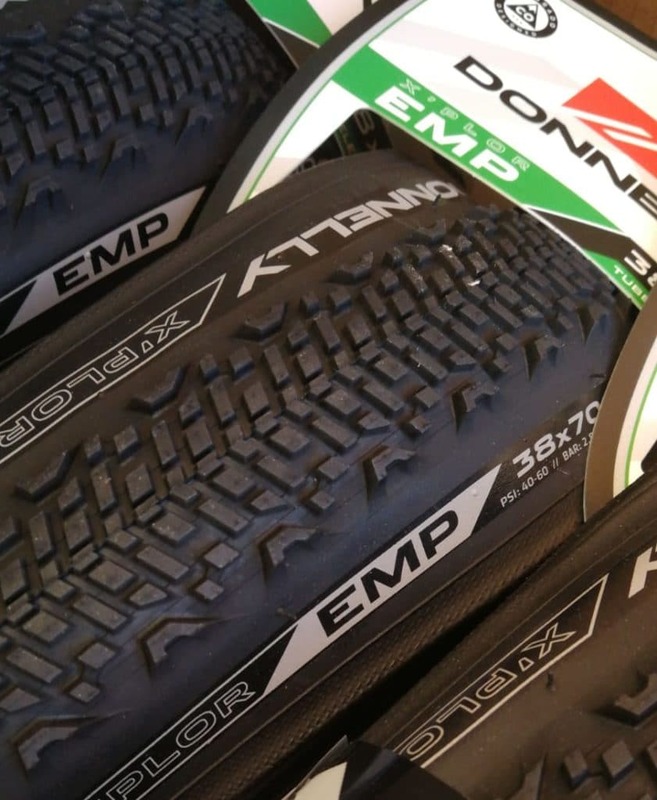 Sticking with Donnelly, their latest, tubeless ready, EMP was a bit of an eye catcher. The name is homage to Emporia, home of the Dirty Kanza. The main features are a tight, fast rolling tread pattern with aggressive knobs on the shoulders. To protect against flints and thorns there is a puncture protection belt under the tread. At the moment they are only available in 700x38mm although a 45mm version is due later in the year. The alloy version of the Tripster ATR, the AT, has been in the Kinesis lineup for a couple of years now. Judging by the number we see out and about, it is proving very popular. The Tripster AT design benefited from input from the late Mike Hall, as you’ll find referenced on the frame graphics. Mike believed that visibility on the road was vitally important. The lineup has therefore always featured eye-popping colour options such as Seeon Yellow and Neon Orange among more muted options such as Arran Blue. Strictly limited and available only as a full build, we think Mike would approve of this neon fade finish that will brighten up dealer showrooms from April. The new Cannondale Topstone was announced late last year. It is proving so popular you will struggle to find a dealer with stock. The three bike lineup all share the same SmartForm C2 alloy main frame paired to a carbon fork, with clearance for a 700x42mm tyre. 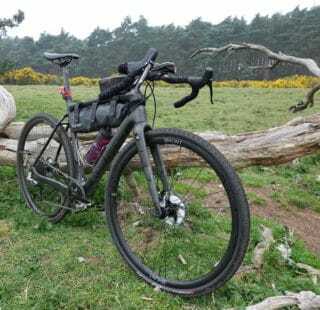 The Topstone also has 12mm through axles front and rear and oodles of bottle cage and rack mounts. The one that caught our eye is the stunning cobalt blue Topstone SE Apex. It was only then we noticed its more subdued sibling nestling beneath it. 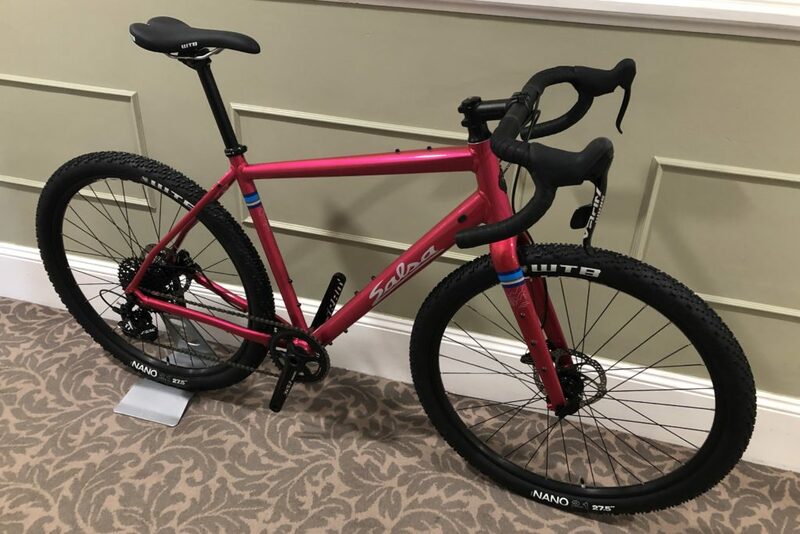 For £1,799 the SE Apex gives you all the features above along with a full SRAM Apex 1x groupset with hydraulic brakes, WTB ST i23 rims and the icing on the cake, a 50mm dropper seatpost so you can get all gnarly on the commute to work. 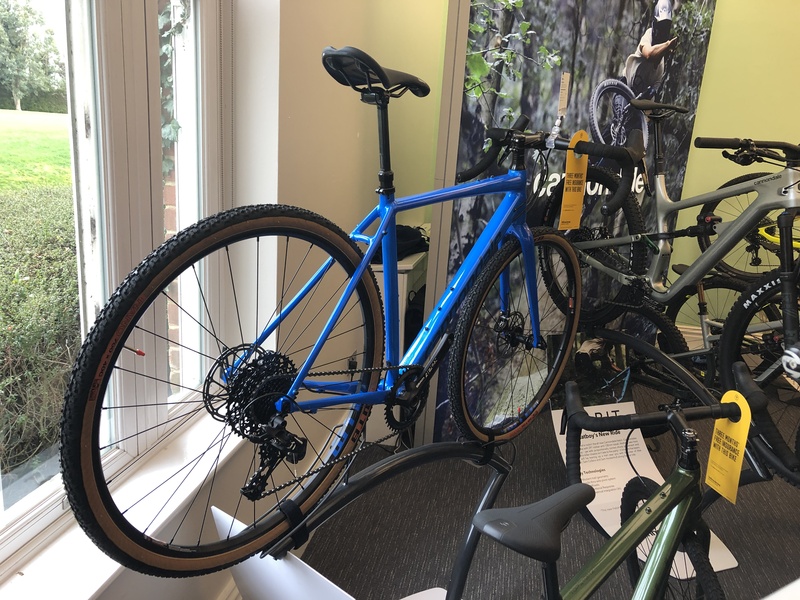 The Topstone range starts off at the very reasonable £899 for the Shimano Sora equipped version, £1,499 for Shimano 105 and then topping out at £1,799 for the Apex version pictured. 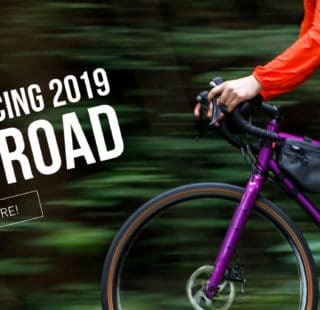 Visit www.cannondale.com for more details.